Because for crossfire to work you need 2 of the same GPU. Either 2 580's or 2 570's. What motherboard? What slots are the cards in? AFAIK you should be able to crossfire any two cards that share the same GPU, at least that's how it used to be. If that's still the case, a 570 and 580 should work. 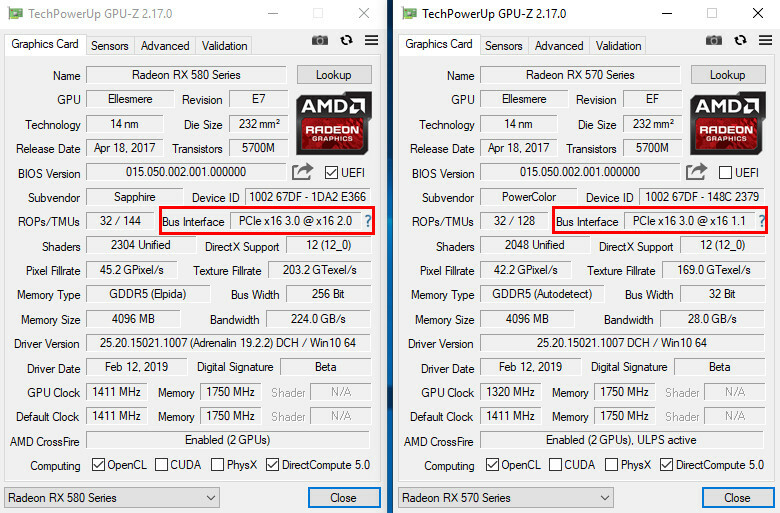 RX 480 and RX 470 Crossfire? We found out that not only does the RX 480 and RX 470 play nice together in Crossfire, but we show you how well. It doesn't matter that they are both Polaris, it's not possible. 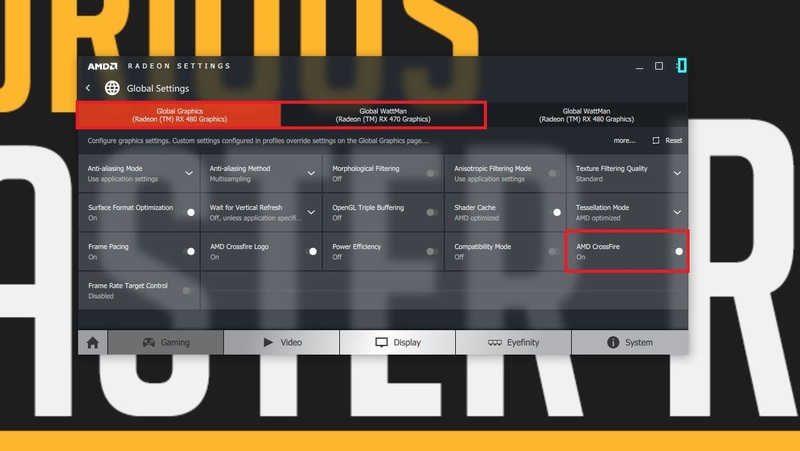 FYI: SLI is Nvidia only. AMD has changed their requirements with the newer cards. They use to allow crossfire accross different models with the same architecture but have changed that, Now(like SLI) they need to be the same model. AMD in current drivers requires them to be the same. Even if it did work the 580 would be downgraded to 570 levels, and from what I have read crossfired 570's are pretty awful, and crossfire is awful in general. If I understand correctly you're using a x1 to x16 riser? Crossfire requires at least x4 for each graphics card. I don't understand why you're using a riser though when that board has 8 PCIe slots with four of them being x16. Even if it was going to work, it won't work with an X1 slot. I've looked all over the internet for the past 30 minutes looking for anything or anyone that says yes it works. I only found 1 person that claims to have done it but said it was a "complete stuttery mess"
I would be interested in seeing a before and after benchmark of either Heaven benchmark or 3D Mark confirming this actually works. Interesting, this was supposed to be blocked but I guess not. Thank you for the pics. 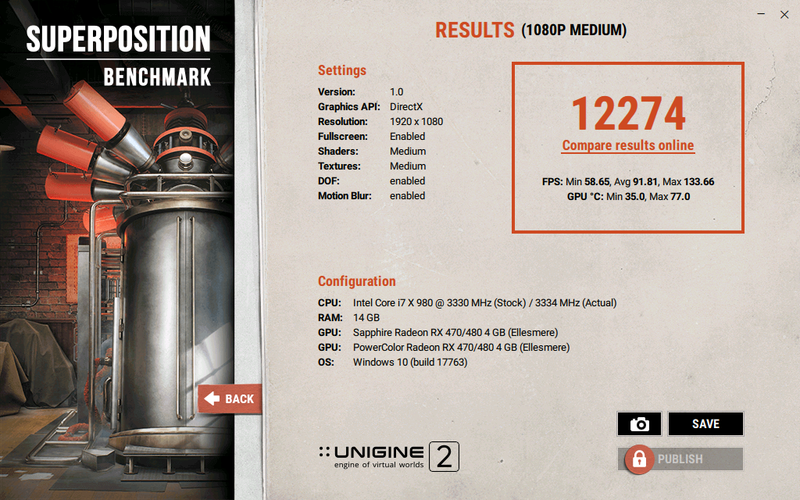 Would you be able to run a benchmark and show the score with crossfire on then off? This would help with others here in the future. Thanks for the numbers. I have a RX580 in one of my PC's at home. This gives me something to compare it to. Rx570 4gb and Rx580 8gb Crossfire or Lone rx580? Is the Rx590 crossfire capable with the Rx580 ? Can I crossfire Ryzen 5 2400g with Vega 11 graphics with RX580? GTX 1070 ti or Crossfire RX580/RX480?